The 25 pounder was the most common artillery piece used by Commonwealth Forces during the Second World War. Versatile, reliable and well-liked by its crews, the gun could fire a 25 pound projectile more than 13 000 yards at a maximum rate of 12 rounds a minute. A 25 pounder sits just a few steps outside the Juno Beach Centre as a monument to the men of the Royal Canadian Artillery who fought and died during the Second World War. 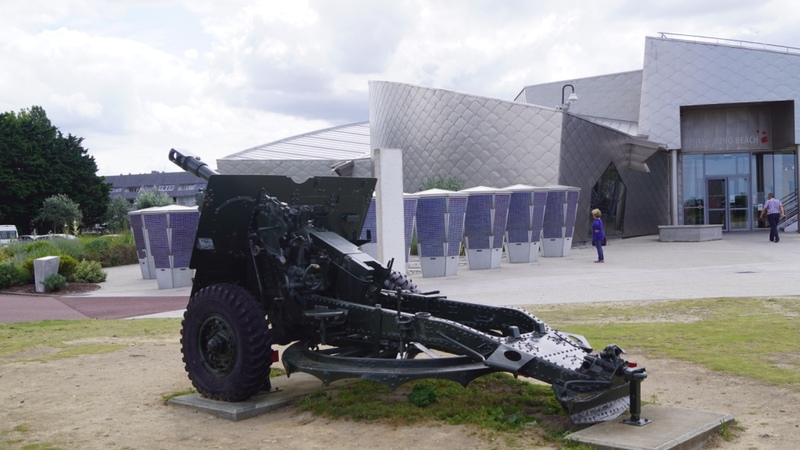 The gun was donated to the Juno Beach Centre by the Irish Defense Forces and was of special significance to the founder of the Juno Beach Centre, Garth Webb, who landed with the 14th Field Artillery, RCA on D-Day. More information about the 25 pounder.